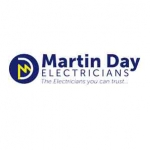 Hello, my name is Martin Day and I've been an electrician in Leeds for over 20 years. I offer a friendly, reliable and comprehensive electrical service across Leeds and Bradford. Fully trained and time served and with all the latest, most current qualifications and fully certified by the NICEIC to carry out the most rigorous electrical inspections on your home of offices. As a fully NICEIC qualified electrician based in Leeds, I am able to undertake a range of domestic and commercial work. As well as the smaller domestic jobs, my team can be expanded with a highly experienced and qualified workforce so that your shop, house, or workplace can be rewired, updated or maintained with minimum of fuss. Following a free verbal quote customers will be offered dates for work to be started and completed. As an NICEIC domestic installer I offer Leeds householders an assurance and accountability of the highest standards. £5 million of public liability insurance and a test certificate for all electrical installation work. All NICEIC qualified electricians have the most current technical back up and their customers are entitled to a full complaints procedure, not that you are likely to need it! Like most electricians in Leeds I depend on recommendations for much of my business. Good customer service is good for my business. And happy customers tell others so do try me. If you like the service I provide then do tell your friends and dont forget to checkout my feedback! Do you need a quote or just some advice? We offer a friendly, reliable and comprehensive electrical service across Leeds and Bradford. Fully trained and time served and with all the latest, most current qualifications and fully certified by the NICEIC to carry out the most rigorous electrical inspections on your home or offices. Martin did an electrical safety test on my new house & got rid of some wall mounted lamps for me (at no extra cost). He was very professional and pleasant, and even offered me a lift into town when he was finished! I would definitely recommend him to anyone. Martin did some general electric work for me. He did an excellent job - will definitely use him again for more work. Highly recommended. Martin did an excellent job of changing the fuse box in our house and checking that all the wiring was safe. I will definitely use him again and will recommend to friends. Came to repair the toilet light at Orion Cafe Hyde Park Corner. Had to stay late to make the electrics safe so we could open the next day. Did a good job and I would recommend him. Just had Martin round to fix some lights on my stairs. Arrived on time, assessed the problem straight away and fixed it quickly. Will use again. Came and fixed a broken socket. Only a small job but came as arranged on time, did a good job and only charge 2 hours. Martin came and electrically tested our house. We're happy our electrics are safe and happier we didnt have a big list of faults to put right.